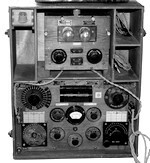 In the early years of wireless communications, the Swiss Army mainly relied on German made equipment from Telefunken or Lorenz. 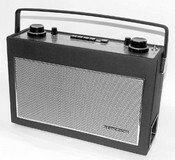 Later, in the years just before WWII broke out, Swiss companies started to develop the necessary communications sets with the aim to keep Switzerland independant from foreign suppliers. 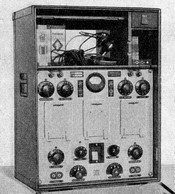 Amongst these manufacturers, You find names like Autophon AG (Solothurn), Standard Telephone and Radio AG (Zurich, the later Alcatel) and Zellweger AG (Uster). 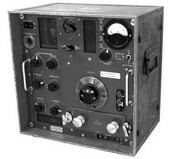 used by "Funkpolizei", the miltary radiocommunications surveillance. 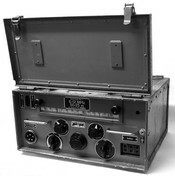 portable radio using mains power supply, mainly found in command posts and shelters of civil proctection services used for listening to official informations distributed over national radio channels.